Standards for Emergency Department in Hospitals. NABH Secretariat will accept Online Payment only through Credit/Debit card,Bank Transfer and Net Banking w.e.f 16-05-2016. New Programs Launched: Certification Standards for Emergency Department in Hospitals , Empanelment of Medical Value Travel Facilitator(MVTF). The applications from the following hospitals have been received and are under different stages of processing. 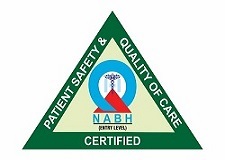 Stakeholders desirous of giving any feedback about the hospitals may do so by writing to CEO, NABH. The feedback would be taken into account while Certification decisions are made. 3 PEH-2014-0019 Divya Advanced ENT Clinic, Bhopal, Madhya Pradesh, India 31 Dec 2014 Application closed. 4 PEH-2014-0020 Asian Globus Liver & Gastrology Centre, Bhopal, Madhya Pradesh, India 31 Dec 2014 Application closed. 5 PEH-2015-0021 Padhar Hospital, Betul, Madhya Pradesh, India 05 Jan 2015 Application closed. 6 PEH-2015-0026 Mumbai Eye Care Cornea & Lasik, Mumbai, Maharashtra, India 28 Jan 2015 Application closed. 7 PEH-2015-0030 Era's Lucknow Medical College & Hospital, Lucknow, Uttar Pradesh, India 16 Feb 2015 Application closed. 8 PEH-2015-0040 Anand Surgical Hospital Pvt. Ltd., Ahmedabad, Gujarat, India 01 Apr 2015 Application closed. 9 PEH-2015-0041 IBS Hospital, Jaipur, Rajasthan, India 17 Mar 2015 Application closed. 10 PEH-2015-0056 KMC Hospital, Mangalore, Karnataka, India 30 May 2015 Application closed. 11 PEH-2015-0057 K. R. Puram Super Specialty Hospital, Bangalore, Karnataka, India 31 May 2015 Application closed. 14 PEH-2015-0066 Akash Hospital (A unit of Akash Institute of Medical Sciences & Research Centre), Devanahalli Town, Karnataka, India 01 Jun 2015 Application closed. 15 PEH-2015-0068 Mcgann Teaching District Hospital, Shimoga, Karnataka, India 18 Jun 2015 Application closed. 17 PEH-2015-0075 Yashodhara Super Speciality Hospital Pvt. Ltd., Solapur, Maharashtra, India 02 Jul 2015 Application closed. 19 PEH-2015-0090 Krishna Hospital, Mysore, Karnataka, India 11 Aug 2015 Application closed. 21 PEH-2015-0102 Gokuldas Hospital Pvt.Ltd., Indore, Madhya Pradesh, India 27 Aug 2015 Application closed. 24 PEH-2015-0112 Priya Hospital, Kanpur, Uttar Pradesh, India 18 Sep 2015 Application closed. 25 PEH-2015-0119 Asha Hospital, Allahabad, Uttar Pradesh, India 10 Oct 2015 Application closed. 26 PEH-2015-0124 Rainbow Children Hospital, Bhopal, Madhya Pradesh, India 17 Oct 2015 Application closed. 27 PEH-2015-0130 Rajlaxmi Kidney Hospital, Kalaburgi, Karnataka, India 02 Nov 2015 Application closed. 28 PEH-2015-0131 Hombalkar Surgical Hospital, Sangli, Maharashtra, India 02 Nov 2015 Application closed. 29 PEH-2015-0135 Soukhyada Health Care Private Limited, Davanagere, Karnataka, India 19 Oct 2015 Application closed. 30 PEH-2015-0137 Fortis Suchirayu Hospital, Hubli, Karnataka, India 04 Nov 2015 Application closed. 31 PEH-2015-0141 Babu Ishwar Sharan District Hospital , Gonda, Uttar Pradesh, India 17 Nov 2015 CAPA under review by Assessor. 32 PEH-2015-0143 DCH, Basti, Uttar Pradesh, India 17 Nov 2015 Corrective action awaited from HCO. 33 PEH-2015-0144 District Male Hospital, Mainpuri, Uttar Pradesh, India 17 Nov 2015 Corrective action awaited from HCO. 34 PEH-2015-0152 Gautham Hospital,Panayapilly, Chulikal, Ernakulam, Kerala, India 12 Nov 2015 Application closed. 35 PEH-2015-0153 Kidney Care Hospital, Bijapur, Karnataka, India 25 Nov 2015 Application closed. 36 PEH-2015-0154 Shendge Hospital & Research Center, Osmanabad, Maharashtra, India 27 Nov 2015 Application closed. 37 PEH-2015-0155 Medaz Hospital & Health Care, Jabalpur, Madhya Pradesh, India 26 Nov 2015 Application closed. 38 PEH-2015-0158 NHMMI Narayana Multispeciality Hospital, Raipur, Chattisgarh, India 24 Nov 2015 All documents not received. 39 PEH-2015-0162 Sadguru Netra Chikitsalaya, Satna, Madhya Pradesh, India 15 Dec 2015 Application closed. 40 PEH-2015-0164 Sumiran Women's Hospital, Ahmedabad, Gujarat, India 18 Dec 2015 Application closed. 41 PEH-2015-0167 Hindu Mission Health Services , Chennai, Tamil Nadu, India 19 Nov 2015 Application closed. 42 PEH-2015-0169 Sampat Nursing Home, Chennai, Tamil Nadu, India 07 Jan 2016 Application closed. 43 PEH-2016-0173 Maa Rewa Hospital, Harda, Madhya Pradesh, India 01 Jan 2016 Application closed. 44 PEH-2016-0175 Mehta Multispeciality Hospital, Sadulpur, Churu, Rajasthan, India 06 Jan 2016 Application closed. 45 PEH-2016-0176 Easvara Hospital, Madurai, Tamil Nadu, India 05 Jan 2016 Application closed. 46 PEH-2016-0178 Neoretina Eyecare Institute , Hyderabad, Telangana, India 09 Jan 2016 Application closed. 47 PEH-2016-0179 Care 24 Medical Centre And Hospital Care, Erode, Tamil Nadu, India 11 Jan 2016 Application closed. 48 PEH-2016-0185 Siddhi-Vinayak Hospital, Ahmedabad, Gujarat, India 15 Jan 2016 Application closed. 49 PEH-2016-0188 General Hospital Sira, Tumkur, Karnataka, India 20 Jan 2016 Application closed. 50 PEH-2016-0189 Ujjain Cheritable Hospital & Research Centre, Ujjain, Madhya Pradesh, India 22 Jan 2016 Application closed. 51 PEH-2016-0190 Bhopal Test Tube Baby Centre Pvt Ltd & Aman Hospital, Bhopal, Madhya Pradesh, India 23 Jan 2016 Application closed. 52 PEH-2016-0196 St. Joseph's Hospital, Mysore, Karnataka, India 28 Jan 2016 Application closed. 53 PEH-2016-0200 Vijan Hospital & Research Centre, Nasik, Maharashtra, India 03 Feb 2016 Application closed. 54 PEH-2016-0206 Chris Super Speciality Hospital and Research Centre Pvt. Ltd., Bangalore, Karnataka, India 06 Feb 2016 Application closed. 55 PEH-2016-0208 Medwin Hospital & Research Centre, Varanasi, Uttar Pradesh, India 09 Feb 2016 Application closed. 56 PEH-2016-0211 The Radiant Institute/ Radiant Global Solution, Mysore, Karnataka, India 12 Feb 2016 Application closed. 57 PEH-2016-0212 Vaatsalya life, Kalaburgi, Karnataka, India 13 Feb 2016 Application closed. 58 PEH-2016-0215 Akash Hospital and Diagnostic Centre, Indore, Madhya Pradesh, India 17 Feb 2016 Application closed. 59 PEH-2016-0217 The Voluntary Health Services, Chennai, Tamil Nadu, India 21 Feb 2016 Application closed. 60 PEH-2016-0221 Taluk General Hospital, Mysore, Karnataka, India 25 Feb 2016 Application closed. 61 PEH-2016-0222 Annai Hospital, Kanyakumari, Tamil Nadu, India 25 Feb 2016 Application closed. 62 PEH-2016-0223 Karuna Hospital, Nasik, Maharashtra, India 25 Feb 2016 All documents not received. 63 PEH-2016-0224 Pankaj E.N.T. Clinic Pvt Ltd (Hospital), Lucknow, Uttar Pradesh, India 25 Feb 2016 Application closed. 64 PEH-2016-0228 Dr. O.P. Chaudhary Hospital And Research Centre, Lucknow, Uttar Pradesh, India 27 Feb 2016 All Documents not received. 65 PEH-2016-0235 K.S.Hospital, Dharmapuri, Tamil Nadu, India 03 Mar 2016 Application closed. 69 PEH-2016-0248 Platina Heart Hospital (A Unit Of Platina Hospital Pvt Ltd.), Nagpur, Maharashtra, India 15 Mar 2016 Application closed. 70 PEH-2016-0249 Prime Hospitals, Hyderabad, Telangana, India 15 Mar 2016 All Documents not received. 71 PEH-2016-0251 Holy Cross Hospital, Jashpur, Chattisgarh, India 16 Mar 2016 All Documents not received. 72 PEH-2016-0252 District Wenlock Hospital, Mangalore, Karnataka, India 16 Mar 2016 Application closed. 73 PEH-2016-0253 Government Arignar Anna Memorial Cancer Hospital and Research Institute , Kanchipuram, Tamil Nadu, India 16 Mar 2016 CAPA under review by Assessor. 74 PEH-2016-0255 Columbia Hospital & Research Centre , Nagpur, Maharashtra, India 21 Mar 2016 Application closed. 75 PEH-2016-0260 Warana Institute of Uro-Surgery, Kolhapur, Maharashtra, India 24 Mar 2016 Application closed. 76 PEH-2016-0261 Balaji Fracture & General Hospital, Bhopal, Madhya Pradesh, India 25 Mar 2016 Application closed. 77 PEH-2016-0262 Mathi Integrated Health Centre Private Limited, Virudhunagar, Tamil Nadu, India 25 Mar 2016 Application closed. 78 PEH-2016-0265 Audhithya Ortho Hospital, Dindigul, Tamil Nadu, India 29 Mar 2016 Application closed. 79 PEH-2016-0266 Dr N B Patil Hospital, Gadag, Karnataka, India 30 Mar 2016 Application Closed. 80 PEH-2016-0271 Shree Meenakshi Multi Speciality Hospital, Pudukkottai, Tamil Nadu, India 31 Mar 2016 Application closed. 81 PEH-2016-0272 Puducherry Cancer Trust Hospital and Research Centre, Pondicherry, Pondicherry, India 31 Mar 2016 Application closed. 82 PEH-2016-0273 KR Hospital, Dindigul, Tamil Nadu, India 31 Mar 2016 All Documents not received. 85 PEH-2016-0285 Venkatesh Hospital, Bagalkot, Karnataka, India 01 Apr 2016 All Documents not received. 86 PEH-2016-0286 Abinand Hospital, Coimbatore, Tamil Nadu, India 02 Apr 2016 Application closed. 87 PEH-2016-0293 Vagus Super Specialty Hospital, Bangalore, Karnataka, India 06 Apr 2016 Application closed. 89 PEH-2016-0298 K V Hospital, Dharmapuri, Tamil Nadu, India 09 Apr 2016 Application closed. 90 PEH-2016-0309 Kamalam Nursing Home, Dharmapuri, Tamil Nadu, India 19 Apr 2016 Application closed. 91 PEH-2016-0318 Aroma Hospital, Madurai, Tamil Nadu, India 22 Apr 2016 Application closed. 92 PEH-2016-0325 Patil Institute Orthopaedic Sciences, Kolhapur, Maharashtra, India 29 Apr 2016 Application closed. 93 PEH-2016-0334 SDS Tuberculosis Research Centre & Rajiv Gandhi Institute of Chest Diseases, Bangalore, Karnataka, India 10 May 2016 CAPA under review by assessor. 94 PEH-2016-0336 Belgaum Children's Hospital Pvt. Ltd., Belgaum, Karnataka, India 11 May 2016 Corrective action awaited from Hospital. 95 PEH-2016-0348 DNV Polyclinic, Dharmapuri, Tamil Nadu, India 30 May 2016 Application closed. 96 PEH-2016-0353 Shakuntala Memorial Hospital & Research Center, Hubli, Karnataka, India 01 Jun 2016 ALL Documents not Received. 97 PEH-2016-0359 Indira Gandhi Institute of Child Health, Bangalore, Karnataka, India 08 Jun 2016 Corrective action awaited from HCO. 98 PEH-2016-0363 Woodlands Hospital, Hyderabad, Telangana, India 14 Jun 2016 Application closed. 99 PEH-2016-0382 Yashfeen Cardiac Hospital, Navsari, Gujarat, India 27 Jul 2016 Application closed. 100 PEH-2016-0391 Jawaharlal Institute of Postgraduate Medical Education & Research, Pondicherry, Pondicherry, India 11 Aug 2016 All documents not accepted. 101 PEH-2016-0393 Bhanavi Hospital, Mysore, Karnataka, India 19 Aug 2016 Application closed. 102 PEH-2016-0397 East Point Hospital, Bangalore, Karnataka, India 27 Aug 2016 All documents not received. 103 PEH-2016-0398 CSI Bell Pins Indirani Chelladurai Mission Hospital, Tirunelveli, Tamil Nadu, India 01 Sep 2016 Application closed. 104 PEH-2016-0407 Kalyani Hospital, Karnal, Haryana, India 14 Sep 2016 Application closed. 105 PEH-2016-0415 Aristo Speciality Hospital, Madurai, Tamil Nadu, India 05 Oct 2016 All Documents not received. 106 PEH-2016-0416 Gulbarga Heart Foundation and Research Centre, Kalaburgi, Karnataka, India 06 Oct 2016 All Documents not received. 107 PEH-2016-0424 Lal Bahadur Shashtri Hospital, Delhi, Delhi, India 17 Oct 2016 All Documents not received. 108 PEH-2016-0442 Grover Eye Laser & ENT Hospital, Chandigarh, Punjab, India 07 Nov 2016 Application closed. 109 PEH-2016-0447 SMS Energy Hospital, Indore, Madhya Pradesh, India 17 Nov 2016 Application closed. 110 PEH-2016-0453 St. Ann's Jubilee Memorial Hospital, Visakhapatnam, Andhra Pradesh, India 24 Nov 2016 All Documents not received. 111 PEH-2016-0456 VMC Speciality Hospital, Madurai, Tamil Nadu, India 25 Nov 2016 Application closed. 112 PEH-2016-0457 Mewara Medicare, Indore, Madhya Pradesh, India 26 Nov 2016 Application closed. 113 PEH-2016-0458 Gitanjali Medical Center, Trichy, Tamil Nadu, India 26 Nov 2016 All Documents not received. 114 PEH-2016-0461 Ashraya Hospital, Chikkamagalur, Karnataka, India 30 Nov 2016 Application closed. 115 PEH-2016-0462 Manohar General Hospital, Chengalpet, Tamil Nadu, India 05 Dec 2016 Application closed. 116 PEH-2016-0467 International Hospital Ltd (Fortis), Bangalore, Karnataka, India 09 Dec 2016 Application closed. 117 PEH-2016-0471 Dipali Hospital, Bellary, Karnataka, India 17 Dec 2016 Corrective actions awaited from HCO. 118 PEH-2016-0473 Pandey Hospital Pvt. Ltd., Jabalpur, Madhya Pradesh, India 20 Dec 2016 Application closed. 119 PEH-2016-0476 Rajiv Gandhi Super Speciality Hospital, Raichur, Karnataka, India 23 Dec 2016 All Documents not received. 120 PEH-2017-0488 Nanjappa Hospital, Shimoga, Karnataka, India 11 Jan 2017 All Documents not received. 121 PEH-2017-0496 Balrampur Hospital, Lucknow, Uttar Pradesh, India 17 Jan 2017 Corrective action awaited from Hospital. 122 PEH-2017-0499 District Women Hospital , Raibarelli, Uttar Pradesh, India 17 Jan 2017 In sequence for assessment. 123 PEH-2017-0506 Erode Medical Centre, Erode, Tamil Nadu, India 20 Jan 2017 Application closed. 124 PEH-2017-0508 Brij Medical Centre Pvt. Ltd., Kanpur, Uttar Pradesh, India 24 Jan 2017 Application closed. 125 PEH-2017-0511 PRG Hospital, Gingee, , , 26 Jan 2017 All Documents not received. 127 PEH-2017-0514 Sudha Hospital & Medical Research Centre Pvt. Ltd., Ladpura, Kota, Rajasthan, India 30 Jan 2017 All Documents not received. 128 PEH-2017-0517 Vivekanand General Hospital, Hubli, Karnataka, India 02 Feb 2017 In sequence for Assessment. 129 PEH-2017-0519 P.S.Mission Hospital, Kochi, Kerala, India 03 Feb 2017 All Documents not received. 130 PEH-2017-0529 A.J. Hospital and Research Centre, Mangalore, Karnataka, India 10 Feb 2017 All Documents not received. 131 PEH-2017-0533 Saraswati Mission Hospital, Pehowa, Kurukshetra, Haryana, India 16 Feb 2017 All Documents not received. 132 PEH-2017-0546 Asha Niketan Hospital, Bhopal, Madhya Pradesh, India 02 Mar 2017 CAPA under review by Assessor. 133 PEH-2017-0547 Priyam Speciality Hospitals, Salem, Tamil Nadu, India 03 Mar 2017 All Documents not received. 134 PEH-2017-0552 Shanti Hospital, Bagalkot, Karnataka, India 15 Mar 2017 All Documents not received. 135 PEH-2017-0557 Malankara Orthodox Syrian Church Medical College Hospital, Ernakulam, Kerala, India 16 Mar 2017 All Documents not received. 136 PEH-2017-0559 PPK Hospital, Kanyakumari, Tamil Nadu, India 20 Mar 2017 Application closed. 137 PEH-2017-0570 Mariampur Hospital Society, Kanpur, Uttar Pradesh, India 03 Apr 2017 Application closed. 138 PEH-2017-0574 Sanjay Gandhi Memorial Hospital, Delhi, Delhi, India 12 Apr 2017 ALL Documents not received. 139 PEH-2017-0584 Mother Vannini Hospital, West Godavari, Andhra Pradesh, India 25 Apr 2017 All Documents not received. 142 PEH-2017-0596 DRM Hospital, Nagpur, Maharashtra, India 15 May 2017 Application closed. 143 PEH-2017-0602 Kapale Hospital, Kolhapur, Maharashtra, India 18 May 2017 Application closed. 144 PEH-2017-0607 Prasad Multispeciality Hospital, Prakasam, Andhra Pradesh, India 24 May 2017 Application closed. 145 PEH-2017-0609 Dr. Punj Artemis Hospital, Amritsar, Punjab, India 25 May 2017 Application closed.